This morning it came to no surprise to see that London Collections: Men, the UK’s premier fashion show for Men’s Fashion, have made Lewis Hamilton an ambassador for promoting menswear. London Collections: Men is an event that MenStyleFashion has supported since 2012 . For the last 2 years I have been talking about about how sports stars can use their influence to generate more interest regarding men dressing well. One year ago I did a feature and attended a high profile fashion gala event with Greg Minnaar the world’s best Downhill Mountain Biker. He was certainly a breath of fresh air, in his bespoke suit as he negotiated the stairs of the Natural History museum at One4theboys event. 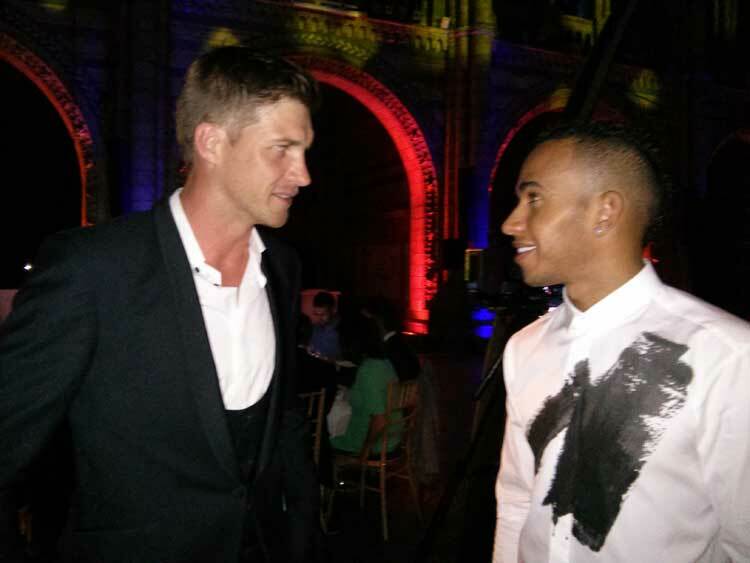 It was at this event where he bumped ironically into Lewis Hamilton, not on the catwalk though. 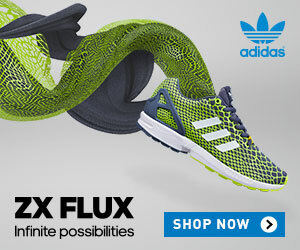 So its very interesting to see that Lewis is becoming more connected to the fashion industry. Why are fashion brands such as Mango signing with ex-sports stars like Zinedine Zidane? He looks great and was also a legend on the field, could his reputation create more sales when it comes to menswear? 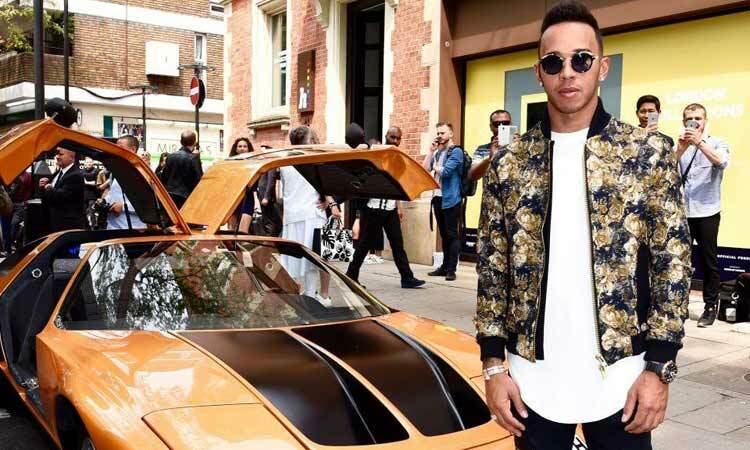 LC:M – Why Make Hamilton An Ambassador? At One4TheBoys I met Lewis and it occurred to me why on earth would they not choose to use him on the catwalk that night. But as things go a year on he is now been chosen by the British Fashion Council to represent London Collection: Men. This is what he wore. I feel proud by Lewis’s decision to do so. 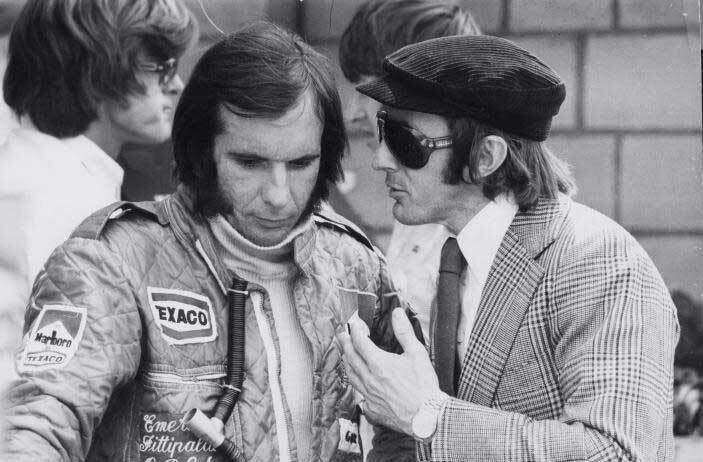 It makes perfect sense if you see historically that guys from Formula One and their personal sense of style create such inspiration to any men watching. I mean you’ve gotta have big balls to do what Lewis does. Back in January 2014 I had a great discussion with David Gandy, a top male model and ambassador for LCM, about using sports stars within the men’s fashion industry. The question now is will Lewis impact men within his sport or that follow his sport to dress well, time will only tell. But don’t worry MenStyleFashion and SportStyleFashion have been doing this all along. Gracie Opulanza was the first woman to put a World Champion athlete on the catwalk at London Collections:Men.